Have you ever wondered how to take control of a drone when it arrives at its destination after an automatic mission? 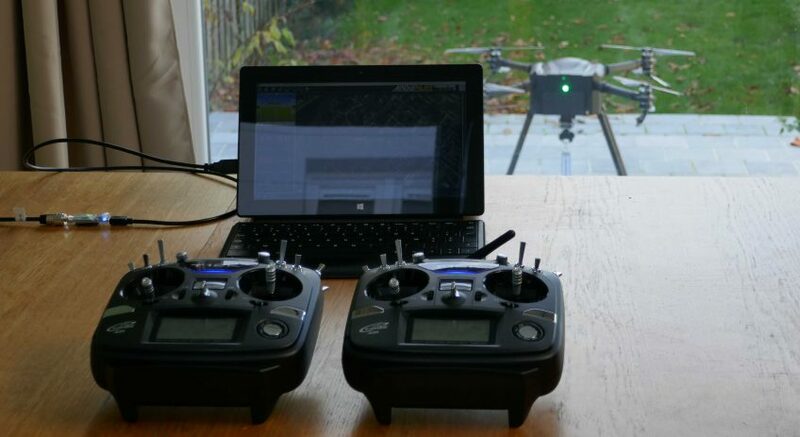 Here is a picture of droneDyne’s solution to control a DroneVolt Hercules 10 with two remote controls. One is the master that can give control to the second remote. If the master remote gets disconnected, the second remote takes over automatically.